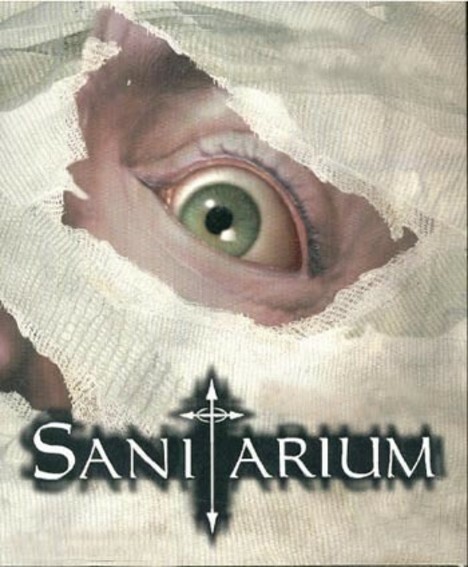 One game I will always remember is a little PC game called “Sanitarium”. Originally released in 1998, The game uses a 3rd person point and click system for exploration. The game features some of the freakiest levels I've seen in my life. Basically you follow this dude called Max, who one day wakes up in an insane asylum with no recollection of who he is or where he's from. There has just been a riot and all the alarms are sounding and the inmates are running around freely. Every level is unique and each one has this atmosphere about it that is really freaky....I can't say I've played another game that had the feel Sanitarium has. That's why it holds such a dear place in my heart. This game is a rare gem that everyone should play. Every level of the 9 total chapters carries a distinct atmosphere that takes place in either the real or imaginary world of Max. The fact you can never really tell what's going on or if what's happening is real, really adds to the psychological horror of the game. The music perfectly compliments each level which only helps in making the game more freaky. All I can say about the levels is they are awesome...REALLY twisted and macabre. The characters are some of the most twisted you will ever come across...from the deformed monstrous children of “The Innocent Abandoned” to “The Circus of Fools” where the employees of a circus located on a little island are being picked off and devoured one by one by a giant squid. Every level is awesome in this game though, each one is so different. I cant say enough good things about this game and its design. I CAN say that this is honestly one of the best games I've played in my life. And to be honest it's shocking to me that this game isn't as well known as it should be. If you'd ask me to write a list of 3 games I feel should have sequels, this would be on of them. If your into horror games (Hell, even if your not) GRAB THIS GAME !!! Actually, if you into GAMES then pick this game up. If you have learned to harness the awesome powers of the internet then acquiring a copy of this game should not be a problem at all. I hope this has sparked an interest in this game for anyone who hasn't played it, because if you haven't then you missed out, kids. If you have played it....What did you think of it?? Do you have good memories of playing? I'm Luke, a 22year old IT technician from Wales, UK. In my spare time i enjoy the odd' Pokemon LARP.